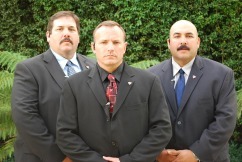 Iovino Investigative and Protective Services offers a wide range of Protective Services. We can provide you with 24/7 armed security at any location that you require it. We can provide an in-depth security plan for your corporate facility that provides security for your employees and facilities, as well as ensuring that your assets are not being looted by dishonset employees. Our approach includes on-site security agents who are trained in protective measures and loss-prevention, as well as integrating electronic surveillance to record employee activity, ingress and egress. We can provide electronic monitoring of sensitive areas that might be prone to theft of products, intellectual property, and supplies. You then have a record of activities in the event that a loss does occur, giving you the ability to determine the cause of the loss and seek appropriate restitution. When you hire Iovino IPS to protect your interests, that's exactly what we do. Our security agents have the proper training and certification to deal with any adverse situations that might arise. If you are experiencing high rates of loss, or even on the job injuries, we can help. We can provide security agents that are qualified and certified to carry both concealed and non-concealed weapons. 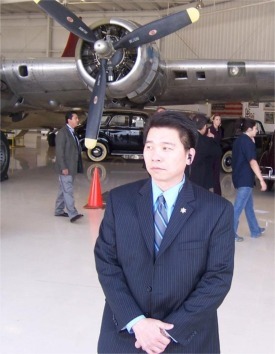 We also provide 24/7 executive protection, so you can rest assured that you are secure. We treat stalkers and other types of personal threats with the utmost care and diligence.